A historic courthouse that's sat empty for the last six years could be getting a second act. Plans are now underway to transform Saint John's Sydney Street courthouse into a theatrical institution. Saint John Rothesay MP Wayne Long says it's important the city invest in and market its own history. 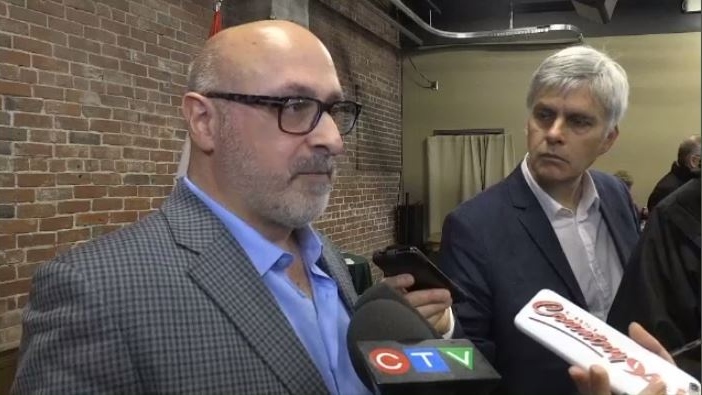 “It's validation of the dream and it's the beginning of a bigger job which is to raise the rest of the money, but also get on with the rehabilitation, restoration, and renewal of the old saint john county courthouse,” said architect Bob Boyce. For 190 years, the stone courthouse on Sydney Street in Saint John has been a landmark of law and justice, but the stage is being set for the historic building to take on a dramatically different role.